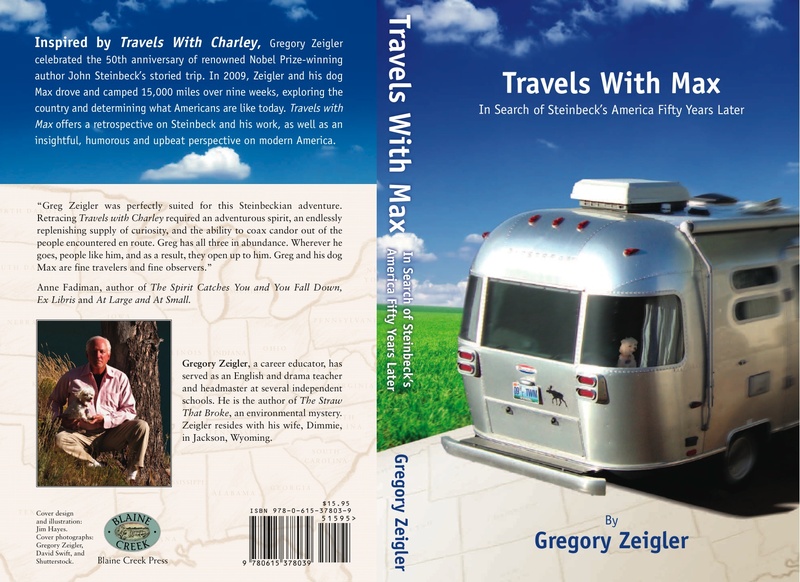 It is with great joy that I announce that Travels with Max:In Search of Steinbeck’s America Fifty Years Later—the story of the 15,000 mile trip I took with my dog Max in the fall of 2009 retracing Steinbeck’s route made famous in Travels with Charley—is available at the website of my publisher, Blaine Creek Press. Blaine Creek’s address is http://www.blainecreek.com/books. See cover below. Enjoy the read and the ride! Happy Travels! Travels with Max: In Search of Steinbeck's America Fifty Years Later—Cover.